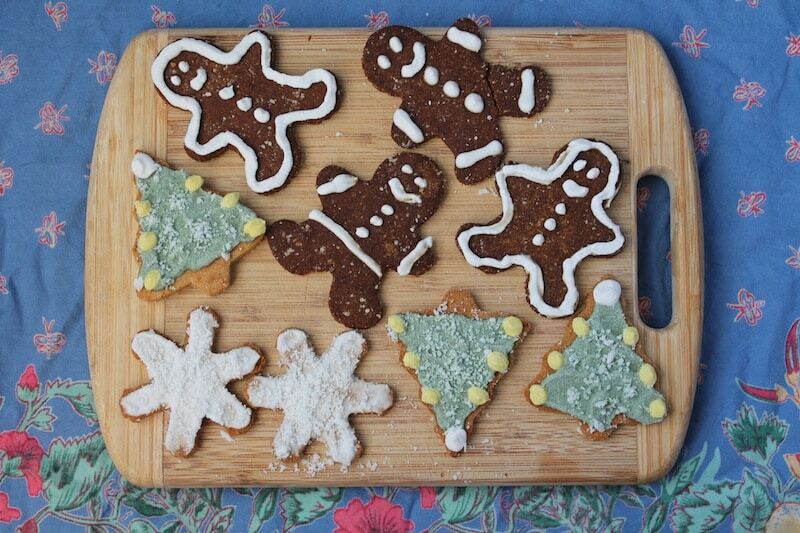 I think the holiday season is my favorite time to bake. 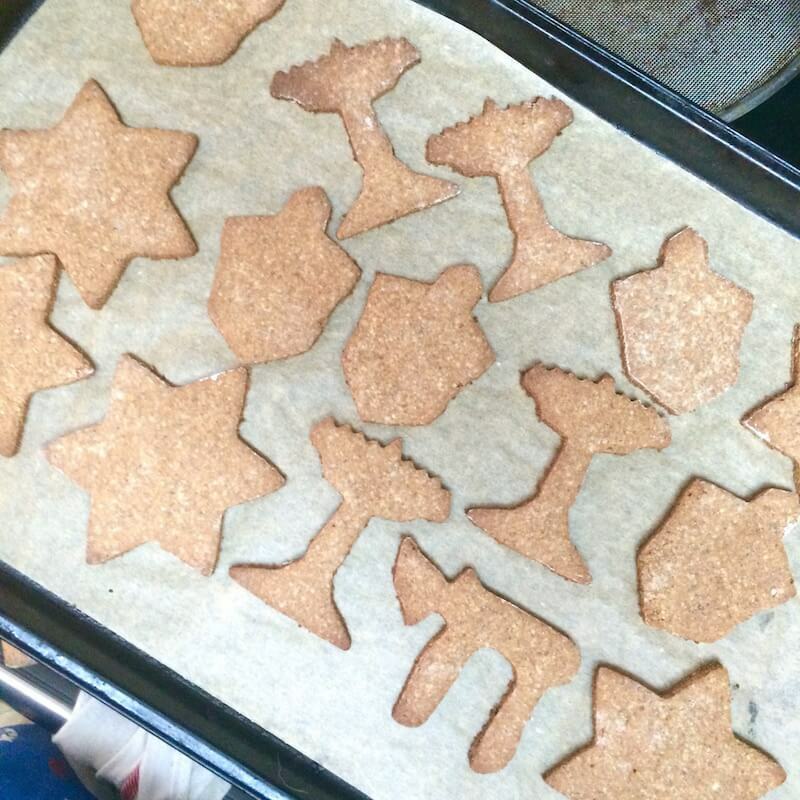 I love making cute treats like these paleo vegan sugar cookies. It's like a little craft project that you get to eat afterwards…what could be better than that! I think the holiday season is my favorite time to bake. 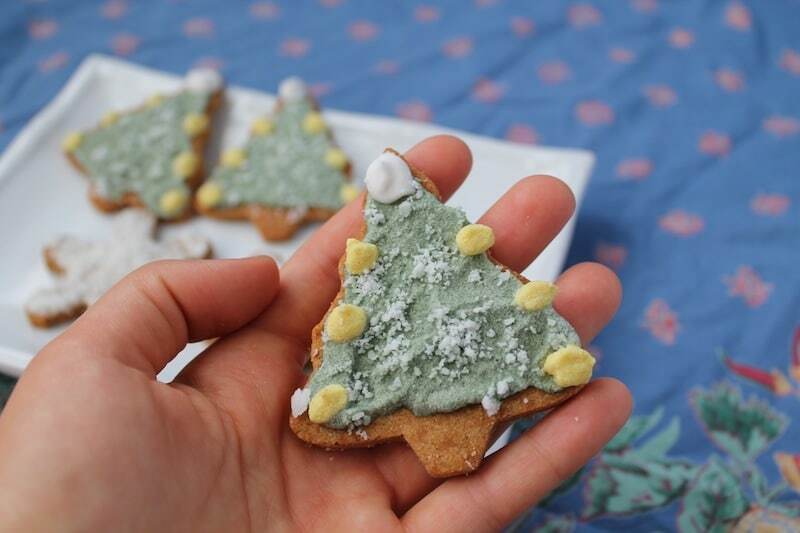 I love making cute treats like these paleo vegan sugar cookies. It’s like a little craft project that you get to eat afterwards…what could be better than that! 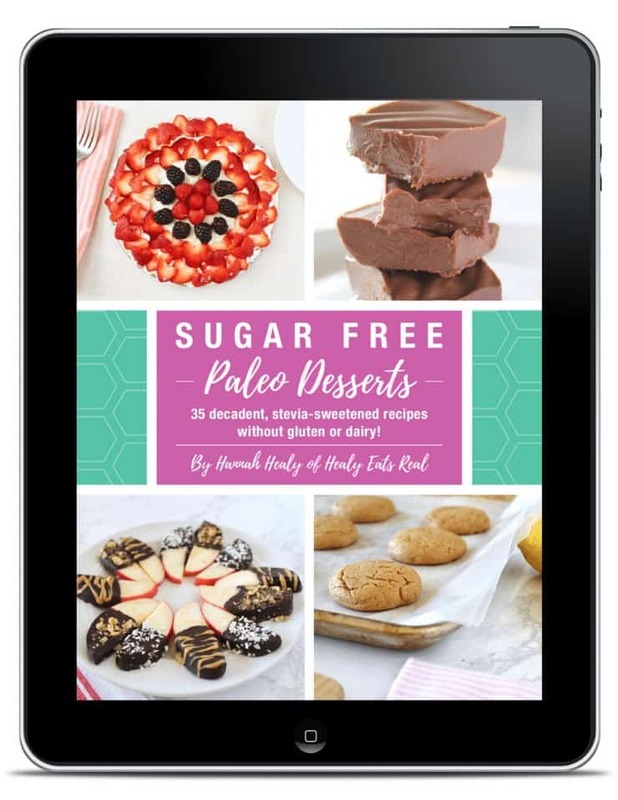 This recipe uses coconut oil, flax seeds and a blend of almond and coconut flour to make it gluten-free and paleo too! 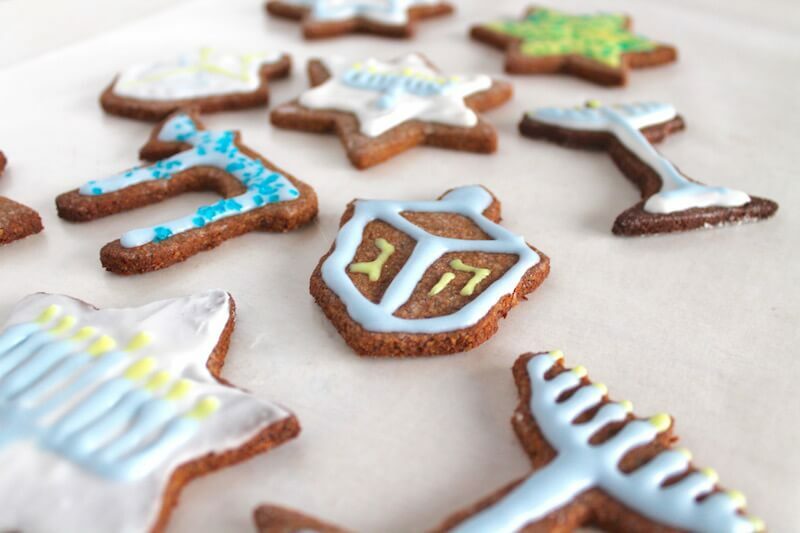 You can make these for Christmas or Hanukkah, you just need the right cookie cutters. I celebrate both holidays so I love making christmas trees, snowflakes, dreidels and menorahs! 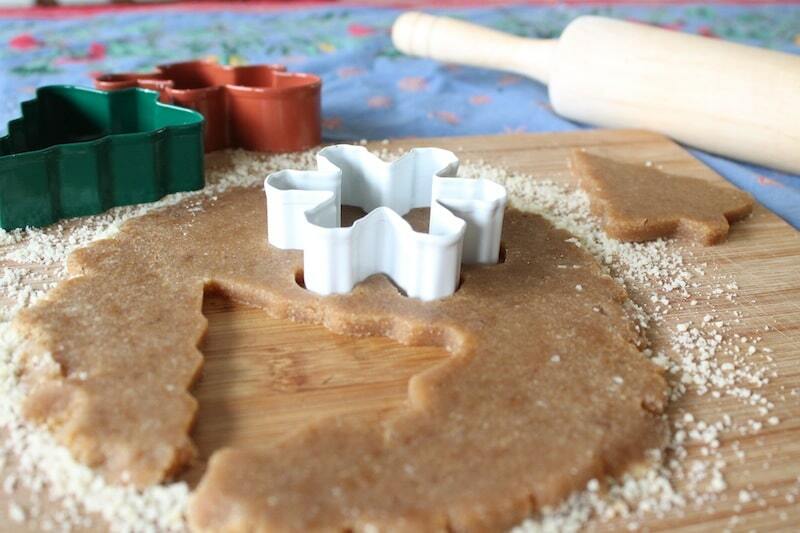 You can find christmas cookie cutters here and hanukkah cookie cutters here. Enjoy! 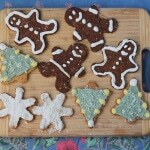 *Check out the recipe for the gingerbread cookies in the picture! Pre-heat the oven to 350°. In a small bowl mix ground flax seeds with warm water. Let it sit until the mixture thickens and gels. In a food processor or mixing bowl, mix together dry ingredients. Then add flax mixture and melted coconut oil and remaining wet ingredients. Place the cut out cookies on a baking sheet lined with parchment paper. 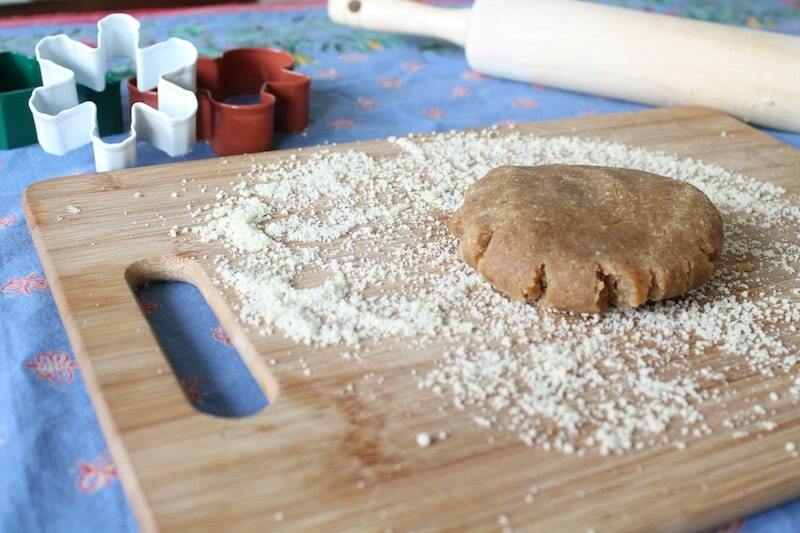 Roll the remaining dough into a ball and use the rolling pin to roll it flat again. 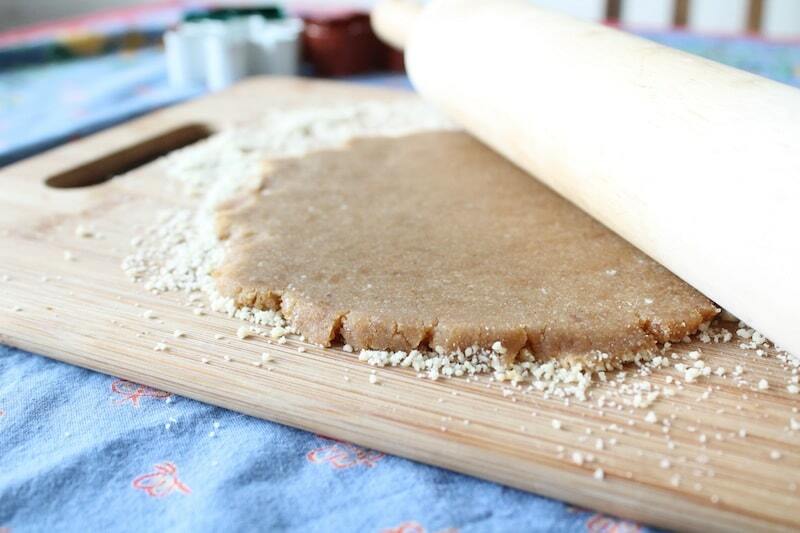 Cut out more shapes and repeat this process until the dough is gone. Bake at 350° for 10-15 minutes. Let cool. To make the frosting make sure you've refrigerated a can of full fat coconut milk overnight. Open the can and scoop out the hardened coconut cream from the top and discard the clear thin liquid left at the bottom. Put the coconut cream in a bowl and add honey or maple syrup. Blend with a hand mixer or hand blender for a few minutes until it's softened up a bit. Separate the white frosting into a few bowls to create different colors. You can use Natural food coloring like this to make the colors or you can get creative. I used this vita mineral green, which is a green powder that I put in my smoothies to make the green color. I just used a little bit. It didn't change the flavor and it added some healthy vitamins to the frosting! For yellow, I just added a little bit of turmeric. 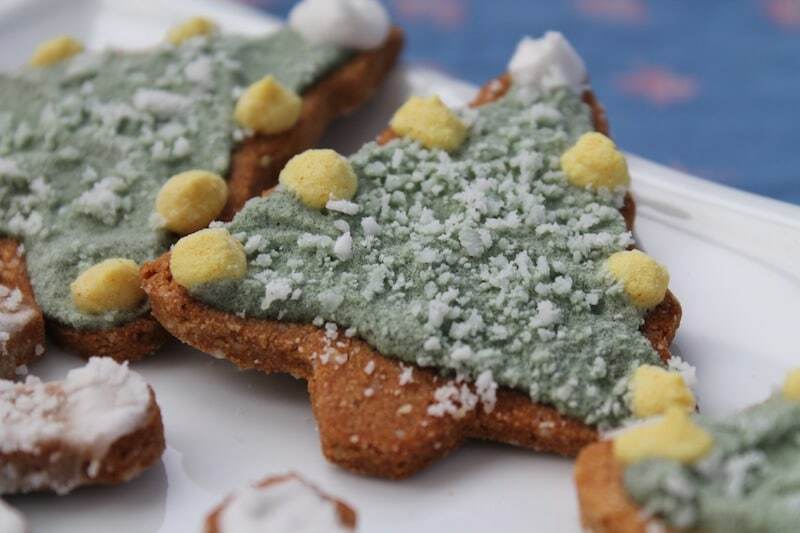 It has a very strong yellow color, so it doesn't take much to dye the frosting, plus it's also very good for you and a little bit doesn't change the flavor. 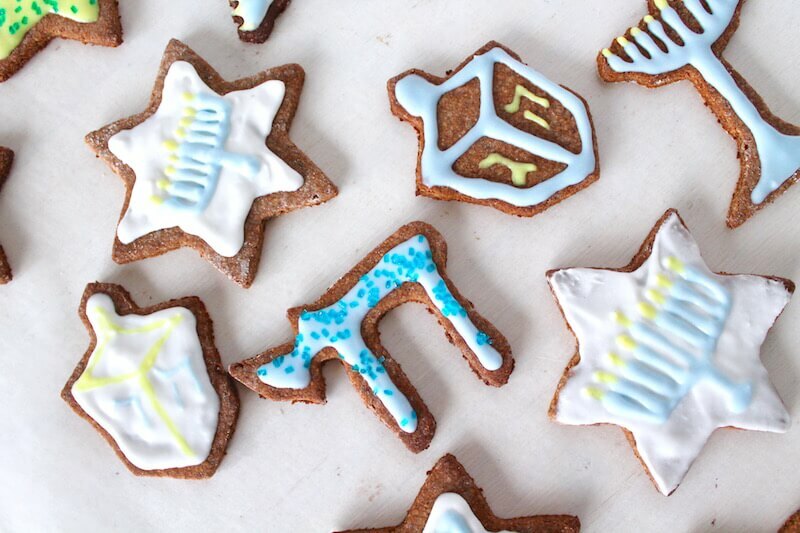 Decorate the cookies with the frosting. 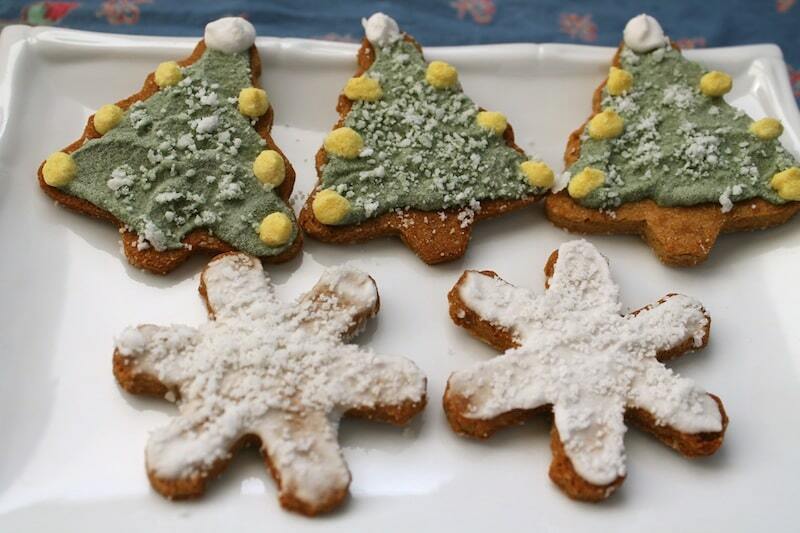 Keep the frosted cookies refrigerated. These look really easy, and yummy. I love your tip to use green powder for the coloring. My question is, about how many cookies will this recipe yield? Thanks Jane! I forgot to put how much it makes. Depending on size, it will probably be about 9-12 cookies. How much is a little bit for the turmeric in the yellow food dye? This is a wonderful recipe!! 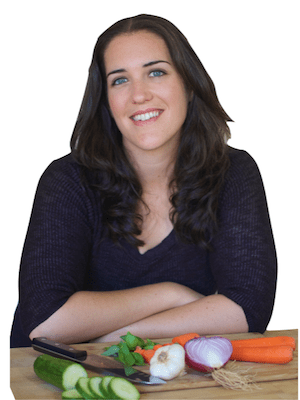 Gluten free/vegan baking can be tricky, and I have found many recipes out there that just don’t quite cut it. 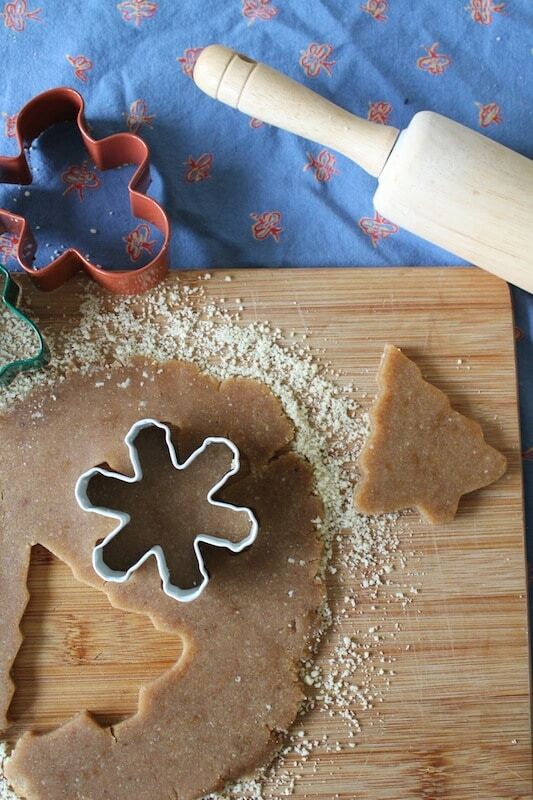 This recipe, however, makes DELICIOUS cookies that have just the right crunchy/chewy ratio. I make them with my two-year-old. Thank you, we have really enjoyed it.